Mary B. Yates, 92, of Abilene passed away Monday, November 10, 2014 in Abilene. A funeral service will be held at 2:00 PM on Thursday, November 13 at Grace United Methodist Church, with Ronnie Newton officiating. Burial will follow at Elmwood Memorial Park. A visitation with the family will be held on Wednesday from 6:00 to 8:00 PM at Elmwood Funeral Home at 5750 US HWY 277 South. 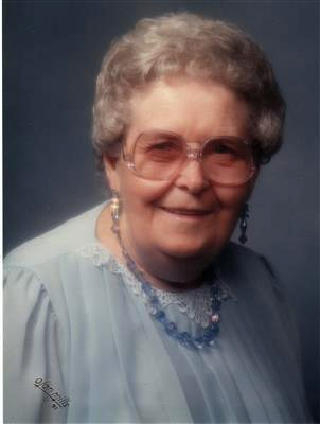 Mary B. Dorothy Lee Van Etten was born on April 24, 1922 in Wichita, Kansas to Moses Wm. and Beulah Ophelia (Graham) Van Etten. In 1926 she moved to and was raised around Guion/Bradshaw/Ovalo, TX, and lived most of her life in Taylor County. She married William Alvie "Cotton" Yates on June 29, 1941. They were together for 67 years until his passing in 2008. Mary was a longtime faithful (since 1948) of Grace United Methodist Church and was a past member of the Abilene Victory Club (Prior to the Junior League of Abilene). She kept children in her home and ironed for the public in the 1950's and early 1960's before working at the Windsor Hotel first as an elevator operator, then as a banquet waitress serving conventions and local civic clubs. When Mack Eplen opened Briarstone Manor she went to work there serving various civic clubs and events before retiring in 1998. Mary was preceded in death by her husband, parents and one brother (Norman G. "Top" Van Etten).Mary is survived by her daughter, Marie Alvilene Tatum; her son, H. Mike Yates; two granddaughters, Amy Tatum and husband Scott and Jeanne Tatum, all of Abilene; one brother, Dallas A. Van Etten of Coleman; several nieces, nephews and cousins. Memorials may be made in her name to Grace United Methodist Church, 1402 Grape St, Abilene, TX, 79603 and to Meals on Wheels of Abilene.